The Parachute Regiment is Britain’s elite airborne infantry. Formed in 1942, its soldiers are trained to be resilient, disciplined, versatile, aggressive in battle and self-reliant. Since the Second World War, paratroopers have fought in nearly all the wars Britain has undertaken. Impressed by the performance of Germany’s paratroops in the first two years of the Second World War (1939-45), British Prime Minister Winston Churchill called for the formation of a British equivalent. By the end of 1941, No 2 Commando had been retrained as parachutists. The first volunteers underwent training designed to encourage a spirit of self-discipline, self-reliance and aggressiveness. Emphasis was given to physical fitness, field craft and skill at arms. The new unit went through several name changes, ending up as 1st Parachute Battalion in September 1941. Along with three newly-formed battalions of volunteers from other regiments, this made up the 1st Parachute Brigade. The success of 2nd Battalion in a raid on a coastal radar station at Bruneval in northern France led to further expansion. Several infantry battalions converted to airborne infantry and the existing parachute battalions gathered into a new Parachute Regiment in August 1942. This new regiment was placed under the authority of the Army Air Corps, alongside the existing Glider Pilot Regiment. 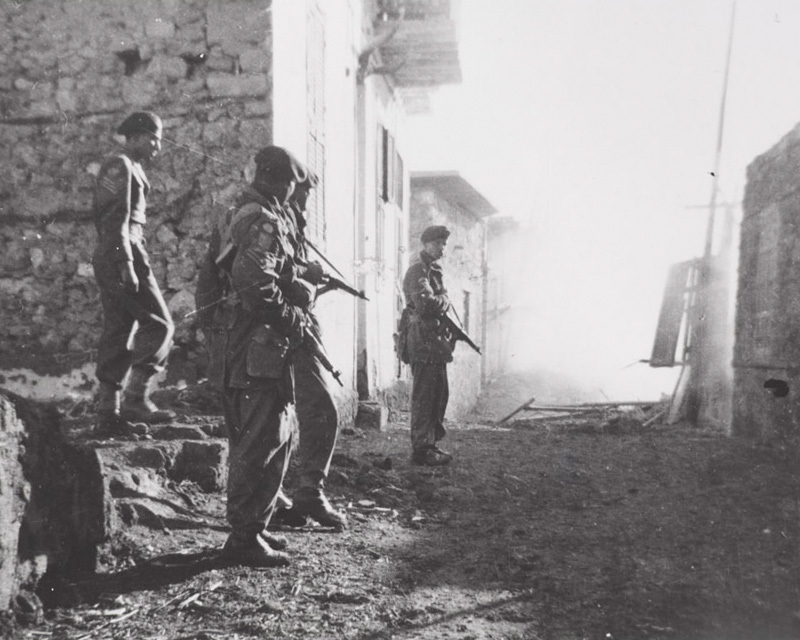 Before the end of the year, 1st Parachute Brigade had been in action in French Morocco and Algeria during Operation Torch. Two of the converted infantry battalions were grouped with the existing 4th Parachute Battalion to form a 2nd Parachute Brigade. This fought in Sicily (1943), Italy (1943-44), southern France (1944) and Greece (1944-45). By June 1944, there were five parachute brigades consisting of 17 battalions. They fought in most of the major theatres of the war with 1st Airborne Division, 6th Airborne Division and the independent 2nd Parachute Brigade. Five parachute battalions landed prior to D-Day (1944) to destroy bridges and gun batteries. 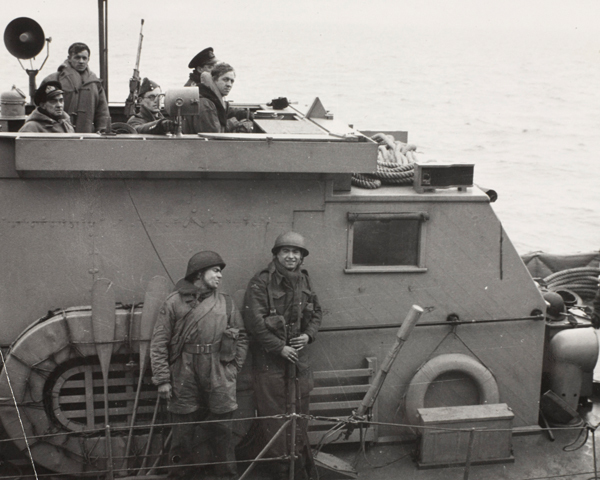 They helped cut off German reinforcements from the Normandy beachheads. 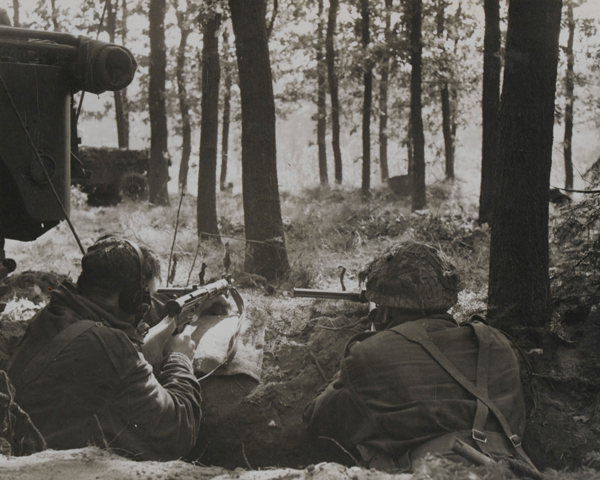 Six battalions fought at Arnhem during Operation Market Garden (1944). Parachute battalions also saw action in the Battle of the Bulge (1945) and the Rhine Crossings (1945). 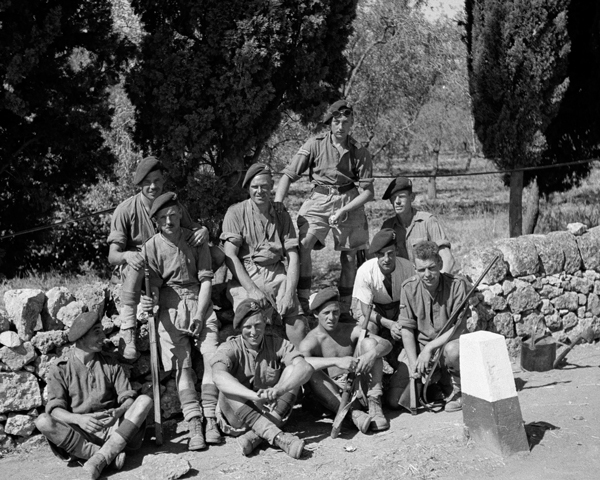 In 1945-46, 6th Airborne Division and 1st Parachute Brigade served in Palestine, carrying out counter-insurgency and internal security operations during the British withdrawal. During the next two years, several parachute units were disbanded. By June 1948 only three regular battalions remained. These were all now under the 2nd Parachute Brigade, which was renumbered 16th Parachute Brigade and posted to West Germany. The regiment briefly became an independent corps from 1949 to 1950 after the Army Air Corps was disbanded. It was then grouped alongside the Glider Pilot Regiment again within the new Glider Pilot and Parachute Corps. 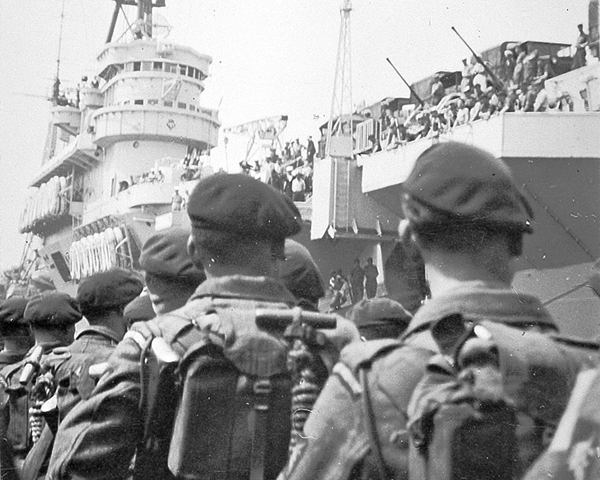 3rd Battalion (3 Para) made the last-ever British full-battalion parachute drop in Suez in 1956. 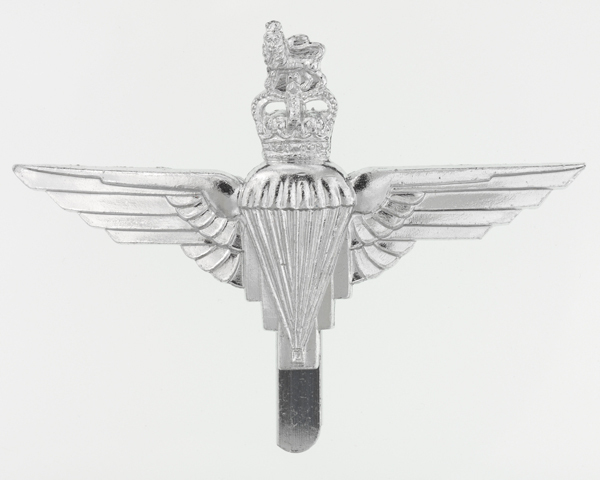 The following year, the Glider Pilot Regiment was disbanded, leaving the Parachute Regiment in a single-regiment corps. During these years the regiment served on Cyprus, in Bahrain and Aden. 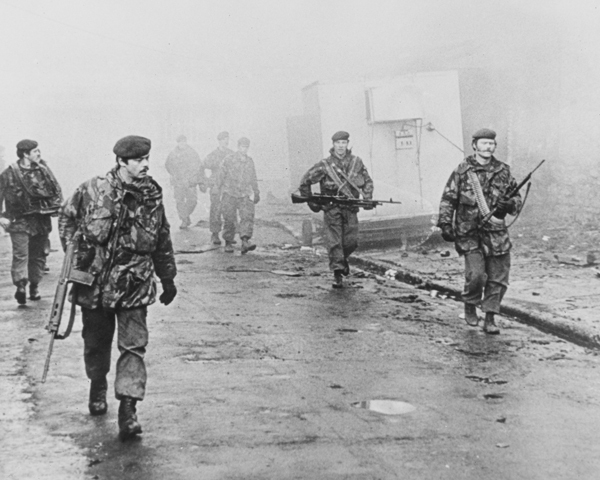 From 1971 onwards, the regiment was regularly involved in policing and counter-terrorist operations in Northern Ireland. Its actions on 'Bloody Sunday' (1972) in Derry remain controversial. 2 Para and 3 Para reinforced 3 Commando Brigade during the Falklands War (1982), fighting with distinction at Goose Green and Mount Longdon. 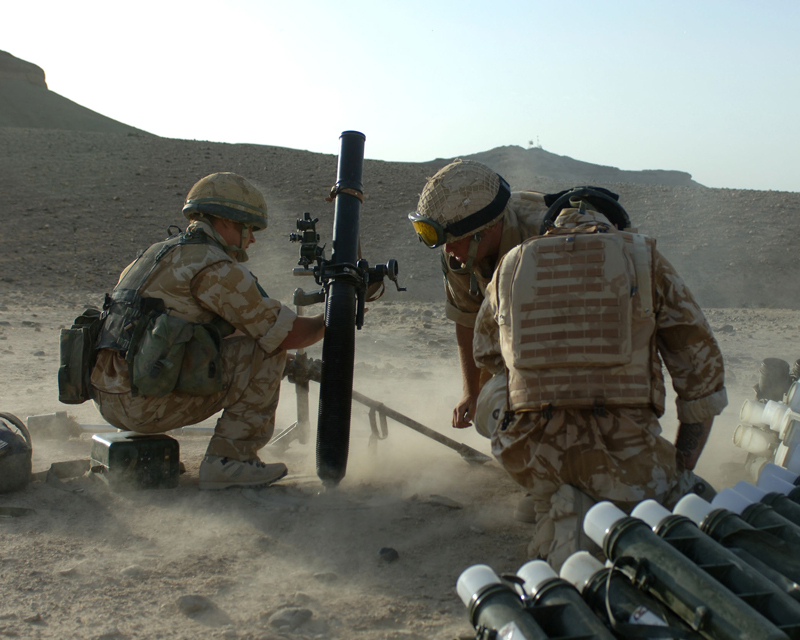 Since 1999, the regiment’s regular battalions have been involved in operations in Kosovo (1999), Afghanistan (2002-14) and Iraq (2003-11), usually as part of 16 Air Assault Brigade, the Army’s rapid response force. Since 2006, 1 Para has served with troops from the Royal Marines and the Royal Air Force in the Special Forces Support Group (SFSG), under the command of the Director Special Forces. The SFSG takes part in large-scale offensive operations alongside SAS/SBS forces, seals off areas in which the latter operate, provides extra firepower from land or air, and carries out diversionary raids. It also supports domestic anti-terrorism operations and trains foreign forces. 1 Para has fought with the SFSG in Sierra Leone (2000), Afghanistan and Iraq. Explore the history and collections of The Parachute Regiment by visiting Airborne Assault, the museum of the Airborne Forces. This British Army unit was established in 1942. It is responsible for maintaining, recovering and repairing tanks, vehicles, weapons and equipment.